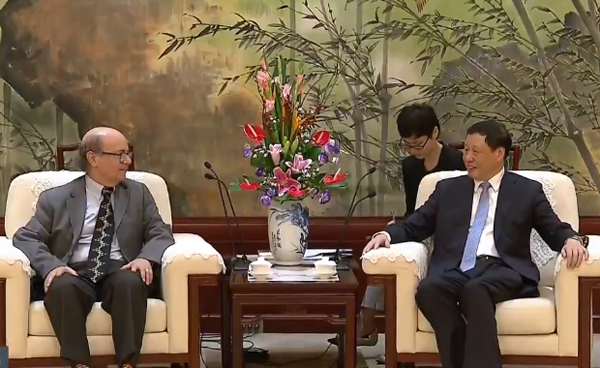 Shanghai Mayor Ying Yong announced that the city's greatest need is for an increased amount of talented personnel including top scientists and technical personnel on Aug 29 during a meeting with Nobel Prize winner Frank Wilczek. Ying has vowed to create a better environment for scientific research in Shanghai and to strengthen cooperation and exchanges between Chinese and overseas scientists. Wilczek, who serves as the director of the Tsung-Dao Lee Institute in Pudong, said that Shanghai's openness and energy, combined with its abundant resources, make it a source of great opportunity for those working in the sciences. The Tsung-Dao Lee Institute will work on the research and development of cutting-edge technology to help Shanghai reach its goal of becoming a scientific and technological innovation center, Wilczek added. The institute opened in November 2016 and is named for renowned American-Chinese physicist Tsung-Dao Lee. With a focus on particle physics, quantum physics, astronomy and astrophysics, it is considered one of the key research centers in the city and has benefited from the government's drive to establish Shanghai as a global centre for scientific and technological innovation.